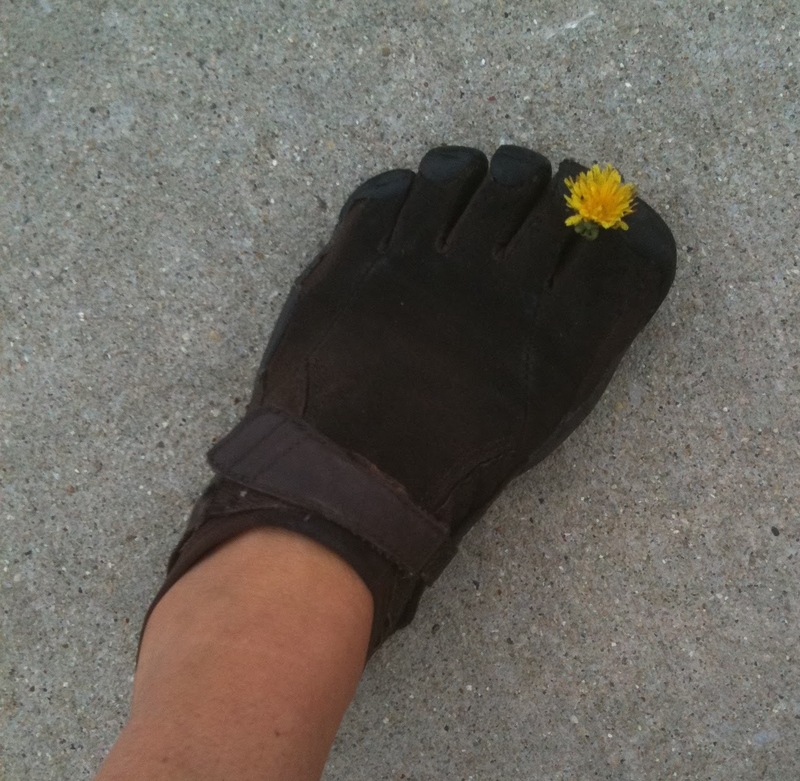 As the cooler temperatures arrive in the Chicago area, my mind is beginning to come to terms with the fact that my days outside with my VFF are limited. At about 35 degrees in the morning, my feet are still hanging on without freezing, thanks to the wool Inijini toe socks I recently bought. But, I know my days are limited and soon I will be back to my winter boots. It makes me sad. What happened to my VFF sole? I emailed Vibram and after waiting many days for a response back learned the shoes are not under warranty but I might possibly be able to repair the shoe. I emailed them back for ideas on how to repair the shoe, but still have not heard back from them. Guess what is now going on my Christmas list? Have you tried a shoe repair shop? 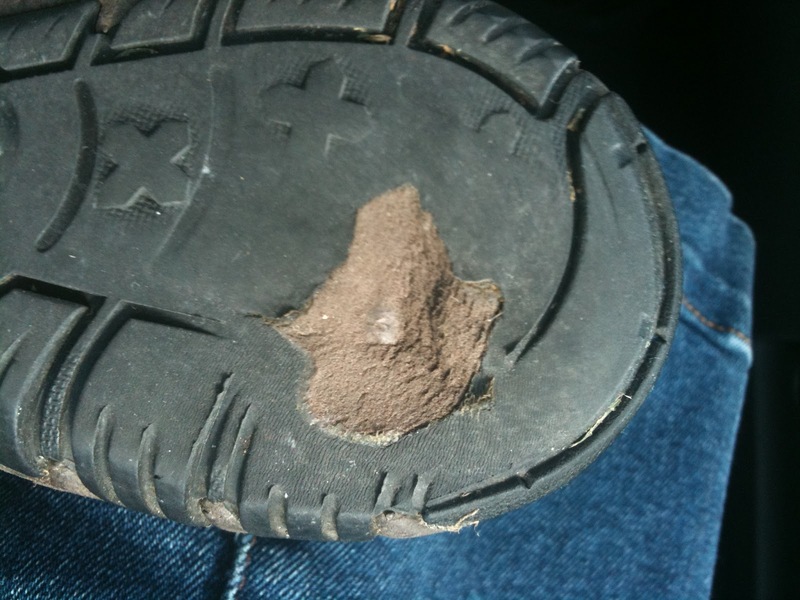 Sometimes shoes can be re-soled, but I don't know if that would be possible with VFF. Good idea WarmSocks. I will give that a try. I love the picture of you and your sockies! I hope you can get your shoes fixed!! I think those of us who are loyal followers of the blog and have benefitted so much from the wonderful posts and the amount of love that Cathy pours into her blog should take up a Christmas collection for her new VFF. All in favor say “$1”! Hi Cathy, I just ordered two different models of these overshoes to try with my VFFs. I'm hoping they will work for winter hiking and snow. I'll let you know the results when they get here! Carla, you are so very sweet. Susan, please do let me know how you like the covers.